Home » General Topics (English) » IS JESUS GOD? WHY DID NOT PAUL PREACH SO? IS JESUS GOD? WHY DID NOT PAUL PREACH SO? My dear Christian brethren! Though there are many of the Christian missionaries the common ideal person for all of them is- Paul. In fact, it is very interesting subject to know the answer for the questions that “Who is God? And who is Jesus? In view of Paul”. Because Paul has declared himself that the beliefs what he has preached towards God and Jesus, were taught by Jesus appearing him miraculously in his vision after he ascended to the heaven. What the contention of so many preachers of now a days is that- Jesus is mightiest God in reality! However he has spent his life with natural human weaknesses for some span of period in this world later on he again transformed as God ascending to heaven! If it is questioned, then why did not the Apostle and Paul ever proclaim so? The answer of some preachers is that- Jesus has spent his life as a common human being, therefore his teachings also appeared to be the normal teachings of a human being! That is why his disciples also preach that- there was one God above Jesus recognizing him to be a common human being! Let we grant it to be true for a while that Jesus is in the great status of God after he ascended to the heaven! Then did Paul, who has received the teachings of Jesus from the heaven, ever introduce Jesus anywhere in his epistles as mightiest God? Or did he introduce as one, who created by the Almighty God and appointed by Him to be the Christ? To acquire the appropriate answer for this question, has been written this small booklet by the inspiration of Holy Spirit. Why do not have the similarity between the gospel of Paul and the gospel of today’s preachers? According to the above verse meaning of imitating Paul is that- Jesus has declared in his gospel that God is one and none besides Him and proclaimed about himself that he is “Christ” sent by God. Having imitated to the Gospel of Jesus, Paul also has proclaimed that there was only one God and Jesus was Christ appointed by God. In this way preaching those same beliefs propounded by Paul, can be regarded as imitating of Paul. But contrary to imitate Paul now a day’s pastors preach in vain as- God has incarnated in the form of Jesus! Jehovah is Triune God! Jesus is one of gods in Trinity etc. by means of they preach those incongruous beliefs there is no any similarity between the gospel of Paul and of now a day’s preachers. According to Paul who is the God in reality? Jesus? Or Jehovah? According to Paul who is Jesus in reality? God? Or Messiah? So many preachers of these days put lot of efforts to try to prove somehow that Jesus is God with the help of some prophecies. But what Paul has proved about Jesus with the help of so many prophecies to the Jews who rejected Jesus? Whether Jesus was Christ or God which can be seen in the following verses. The way what Paul has adopted as how one should believe God? And how one should believe Jesus? is the ultimate measure for the today’s Christianity? On one had Paul clearly preaches that “there is one God, the Father” on the other hand he always strives to prove that “Jesus is Christ” basing on the so many prophecies to the Jews. What noteworthy is that Paul in his entire life time never have argued with Jews showing the prophecies to prove Jesus was God. According to this it is made clear that, in view of Paul God is one, He is Jehovah and Jesus was Messiah (Christ) but not God. The testimony of all Prophets, Jesus and Paul is- There is one God and none besides Him. “Who is the God in the Bible?” the answer of so many preachers for this direct question is that- Jesus! Some give answer as- Holy Spirit yet Mary etc. But the straight answer of all prophets, Jesus and Paul for the above question can be seen the following verses. Thus what the reason for proclaiming the all prophets, Jesus and Paul as “There is no other God but one” from the Old Testament to New Testament is that- Jehovah has proclaimed about Himself as follows. In the above verse Jehovah Himself proclaims as “there is no God besides Me”. Now the question is how long He will be continue in the status of God? Let us see the answer of Jehovah in the following verse. What is the reason for today’s Christianity imagine Jesus is God? Even though Jehovah on one hand proclaim about Himself as “I am the Lord, and there is no other; there is no God besides Me” and all prophets, Jesus and Paul proclaim the same what is the reason for today’s Christianity imagine Jesus to be God? If we question to anybody, what we get the answers from them is that- “Jesus was born without the physical Father” – “he did so many miracles” – “he was called as son of God” – “he told that “No one comes to the Father except through Me” – “he shed his blood on the cross as a ransom on behalf of the sinners” – “he was lifted up to heaven alive” etc. Because of these specialties Jesus is God, is the contention of so many preachers. Did the Apostle and Paul not have the knowledge on these specialties? Why did not Paul who directly “write” those specialties basing on which the now a day’s preachers proclaim as- “Jesus is God” mere by “reading” them, ever have proclaim that “Jesus was God? Unlike the present day’s preachers who just “heard” and “read” those specialties, the Apostle were directly “seen” them. That is why they proclaim saying “but were eyewitnesses of His majesty – 2 Peter 1:17”. 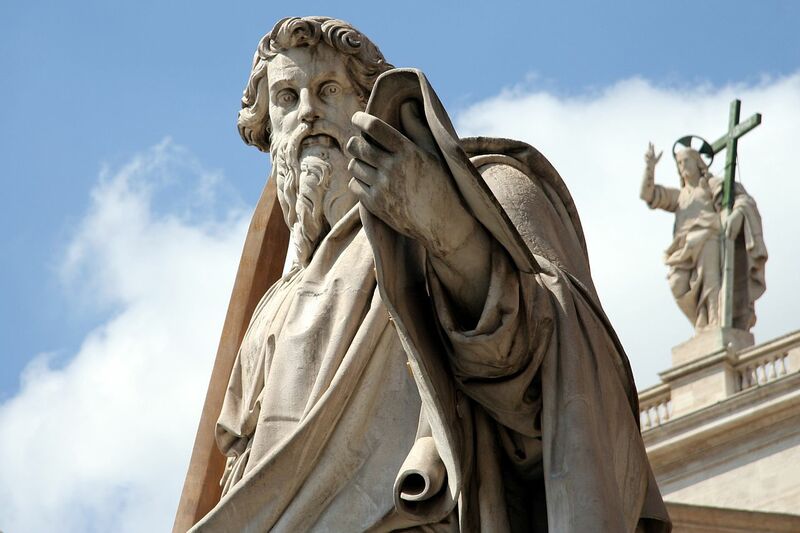 Therefore, if Jesus were God himself… the Apostle and Paul would have the authority above all, to proclaim as “Jesus is God!” Now let us have a glace over the point that to whom the Apostle and Paul have proclaimed to be God? Whether to Jesus or Jehovah in the following corroborative verse. According to the today’s preachers in the above verse the Apostle and Paul would have proclaimed as “you should turn to the divinity of Jesus!” But as per their proclamation that “you should turn to the living God (Jehovah)” it is made evident that they were propagating as only Jehovah was the God and Jesus was Christ. According to Paul should a Christian hold the old belief? Or new belief? According as to the above verse every Christian who want to be “partaker of Christ” should accomplish the condition that “to hold the beginning of our confidence steadfast to the end.” Keeping this point in our mind every Christian Brother who wishes to attain the salvation, should think that the beliefs what are being preached in these days such as “God is Triune” “God has incarnated as Jesus” etc., had ever been propagated right from the beginning by God and Jesus? Or the new beliefs fabricated by those that in disguise of preachers having the superficial knowledge in the Bible? What are those beliefs that we should possess towards God and Jesus according to the Gospel of Jesus? In the above verse Jesus clearly commands to believe Jehovah as “only one God” and about him as “Christ” or “Teacher.” And he once again has reiterated finally before he ascended to heaven to have these beliefs to get the eternal heaven as follows. So there are the two basic beliefs in the gospel of Jesus. Those are- 1). To believe Jehovah as only one God and there is no other God besides Him.” 2). to believe Jesus as Christ who has been appointed to establish the truth that Jehovah is God, and follow his footsteps. As against to this gospel those who preach and follow the new gospel giving up the above old gospel of Jesus, are to be accursed according to Paul’s gospel. According to so far analysis, the everlasting life is possible only by means of the following of old gospel preached by Jesus but it is not at all possible by the new gospel which is being preached by the today’s so many preachers. However to prove somehow that Jesus is God one of the attempts of some preachers is that- “Jesus is begotten son of God! So obviously Jesus owns the inheritance of God! According to this Jesus is also a God!” As a matter of fact, the meaning of the word “begotten son” is not literally that who was begotten by means of the genes or the sperm or flesh of the God or was come out form the womb of God but according to the Biblical language style that “One who liked by God.” In fact so many have been called as “My begotten sons” (Due 32:18, Jacob 1:18) and “My elder sons” (Jer 31:9, Exo 4:22). Not only this, but Paul has declared that the all believers are the offspring and heirs of God” (Acts 17:29, Romans 8:16) is most considerable. As a matter of fact Jesus has been coffered with the great status by the Creator Jehovah which Jesus has proclaimed in his ministry saying “I am the Christ Messiah” (John 4:25) rather than the very common rank of son ship of God what has been given to so many in the Bible in general. Therefore saying as Jesus is God basing on such common rank as “begotten son of God”, becomes quite contrary to the Holy Bible. But what the status that a believer who follows Jesus, have to proclaim about him is that- “Jesus is Messiah” recognizing him in this way, Jesus has put as a measure to get the eternal life (John 17:3). What is the testimony of Paul about Jesus after seeing him in vision? Whether he is God himself? Or Jehovah is the God of Jesus? According to some verses what Paul has proclaimed exalting Jesus as “image of God” “first born of God” “he made Himself of no reputation, taking the form of a bondservant, and coming in the likeness of men” “he was manifested in the flesh” etc., so many in the Christianity argue that Jesus is God. But what the question is that Paul who spoken the above verses exalting Jesus, what for he did not proclaim anywhere about Jesus as “God” and did proclaim as “Christ?” Now let us see whether Paul ever have proclaimed about Jesus as God even after he has ascended to heaven in the following verses. What is the point being proclaimed by Paul in the above verses? Whether Jesus is God or Jesus is having God above him! The answer for this is that- Jesus is having God upon him but he is not God himself. Moreover, if Paul really imagine that Jesus was God, could he ever have proclaimed saying “The God and Father of our Lord Jesus Christ” and “But we see Jesus, who was made a little lower than the angels.” According to this, it is made clear that Paul never have imagined Jesus to be God and believed him not so. In this regard let us see the reality of those verses spoken by Paul which have been misunderstood by the Christians. According to the translation of King James Version “glorious appearing of our great God and Savior Jesus Christ” it evokes that great God and Jesus Christ are not separate but is one entity about whose blessed hope and glorious appearing looking for. But according to the translation from Greek original text it can be clearly read as “Awaiting for the blessed hope and the appearing of the glory of great God, and the appearing of Jesus Christ.” According to Greek original text we can see clearly to have been mentioned that “the appearing of the great God” and “the appearing of Savior Jesus Christ.” This means to say that we have to await for both of “the appearing of the great God” and “the appearing of Savior Jesus Christ.” Thus it is made clear that Great God and Savior Jesus Christ are two separate entities but not one as imagined by the Church. What noteworthy is that Paul has mentioned in so many places that Jehovah is Majesty i.e. Great God and Jesus is mere a priest of Him which fact can be seen hereunder. According to Romans 9:5 - Is Jesus eternally blessed God? If at all Paul has imagined that Jesus was “the eternal blessed God” then to whom he should proclaim, praise and pray in his fourteen epistles? Whether to Jesus or to Jehovah. According to the present day’s preachers Paul should have praised and proclaimed “Jesus was God.” Now let us see to whom Paul has praised in his all epistles. In the view of Paul eternally blessed God is only Jehovah. But not Jesus. According to the above verses it is made clear that in the view of Paul the Creator God Jehovah was “blessed forever” and “glorified forever and ever”. This means eternally blessed God is Jehovah but not Jesus. Paul always used to praise only Jehovah but not Jesus! Thus Paul not only used to pray Jehovah but he clearly has mentioned “blessed be the God and Father of our Lord Jesus Christ (Ephe1:3)” “by him (Jesus) let us continually offer the sacrifice of praise to God (Jehovah) (Heb 13:15)” Paul neve have imagined Jesus to be praiseworthy. What more considerable thing is that- in the same epistle of Romans Paul has praised so many times to Jehovah. Paul has so many times praised Jehovah in the same epistle of Romans. In the same sequence of the above verses of epistle of Romans wherein Paul has praised so many times to Jehovah saying “God is blessed forever” “be glory through Jesus Christ forever” “be glory forever.” In this sequel of praising to Jehovah Paul has praised in Romans 9:5 saying “the eternally blessed God. Amen” but he did not praise Jesus especially in the verse of Romans 9:5 as against to his tradition of praising to Jehovah so many times in his epistles. Did Jehovah manifest in the form of Jesus? As a matter of fact, in the above verse “God manifest in the flesh” is not the proper translation from ancient Greek text. According to the ancient Alexandrinus Codex Greek Bible of 5 th Century, it was written as “He was manifest in the flesh.” We find in the so many versions like “American Standard Version 1901”, “Common English Bible”, “Complete Jewish Bible (CJB)”, “Good News Translation (GNT)”, “Revised Standard version”, “New American Standard Bible”, “New Revised Standard Version (NRSV)”, and in many more translations to be translated as “he was manifested in the flesh.” Wherein “he” refers to Jesus but not Jehovah. If Paul were proclaimed imagining as Jehovah has manifested in the form of Jesus, could he ever have proclaimed the following verse? Therefore depending upon the improper translation like “God was manifested in the flesh” declaring as “Jehovah was manifested in the form of Jesus”, is complete against to the Holy Bible. According to the verse spoken by Jesus in the above, it is made clear that Jesus who was made in the form of spirit in heaven, was born by God in the flesh to be Christ in this world as how the rest of human beings are being born by God. The great proof for this is that Paul clearly mentions as follows. If we set aside for a while that about whom the above prophecy had been prophesized, according to this prophecy the Apostle and Paul did not preach Jesus to be God is the main question that we seriously think about. Importantly, the Apostle and Paul who have mentioned many of the prophecies in front of the then Jews, never have argued with them as Jesus was God applying this prophecy as how the present day’s preachers ascribing the divinity to Jesus with this prophecy. Moreover, Paul argued about Jesus in front of the Jews mentioning so many prophesies that “he was Christ” saying “Then Paul, reasoned with them from the Scriptures, explaining and demonstrating that the Christ” “for he vigorously refuted the Jews publicly, showing from the Scriptures that Jesus is the Christ.” Thus we find Paul to have argued with Jews showing the scriptures i.e. prophecies that Jesus was Christ but we cannot find Paul to have argued about Jesus that he was God applying the prophecy Isaiah 9:6. And all of you are children of the Most High (Psalm 82:6)” and “Moshe is God (Exo 7:1)” On the other hand Jesus says referring to Jews as “you are gods (John10:34).” Because of those all people have been called to be gods, can they ever be regarded to be as equal as to Jehovah? No. Then therefore mere because of “his name will be called Wonderful, Counselor, Mighty God, and Everlasting Father” is it reasonable to believe Jesus is as equal as Jehovah? In fact, what the belief of the Apostle and Paul towards Jesus can be seen in the following verse. Is Jesus God in view of Paul before he made himself of no reputation? What the contention of the todays preaches showing the above verse is that- Jesus who was equal to Jehovah in heaven, was born in this world as a common human being leaving his divinity in the heaven! As a matter fact, what the intension of Paul in saying the above verse is that- Jesus, who was having the great status in heaven, was born in this world so as to preach the Gospel of God, he was ready to undergo so many sufferings. But it is not intension of Paul to prove somehow Jesus to be God. In case, Paul intends to prove Jesus to be God imagining Jesus as one who was in the status of God, was born in this world, then Paul would have mentioned somewhere in his epistles that Jesus has again transformed as God after he ascended to heaven. Now let us in what way Paul has proclaimed about Jesus after he has been lifted up to the heaven in the following verses. What noteworthy is that- Paul has said the above verses after Jesus has been lifted u to heaven. If at all Paul intends that Jesus is God according to Philippians 2:6 under discussion, does he proclaim that Jesus becomes as God after his ascending to heaven? Or he proclaims that Jesus becomes as “an unchangeable priesthood?” Not only Paul is saying about Jesus who is in the heaven as “high priest” “unchangeable priest” but he is saying that Jesus is making intersession for those who come to God through him. According to this it is made clear that in view of Paul Jesus who is in the heaven, is in the status of servant of God but not in the status of God. Is Jesus God in view of Paul as he is the image and the first born of God? In the above verse Paul says that- “Jesus is the image of the invisible God” and “the first born of all creatures.” In case, the intension of Paul in exalting Jesus as this, is to prove Jesus to be God then he never have proclaimed in the following verse saying as “every man is image of the invisible God” in which status Jesus was exalted to be. Is Jesus God as the all authority was given to him? Those that strive to attribute somehow the divinity to Jesus what he does not possess in reality, they attempt to try to prove Jesus to be God showing the reason that “And Jesus came and spoke to them, saying, ”All authority has been given to Me in heaven and on earth (Matthew 28:18).” According to this reason, had Paul ever have imagined about Jesus as God who was having the all authority? Or he believed that Jesus is the servant of Jehovah by whom he was given the all authority? Let us see the answer for this question in the following verse. In this above verse, Paul has disclosed one wonderful fact that Son (Jesus) will also be subject to Him (Jehovah) who put all things under him.” This means Jesus does not become as God because of he was given the all authority! Or he cannot subjugate to Jehovah getting the all authority form Him! But Jesus himself will be subject to God by whom he was given the all authority! What more interesting fact is that Jesus delivers the all authority what he was given, to Jehovah that can be seen in the following statement of Paul. According to the above statement of Paul, it is well ascertained that Jesus was given the all authority by God temporarily but not on the permanent basis. If anybody try to argue that Jesus is God basing on the reason that he was given all authority, then according to Paul, Jesus has handed over the all authority to God. Then therefore anybody who was given the all authority by God and handed over that all authority again to Him, can he ever be regarded as God? Who is the God in reality whether He that gives the all authority to one, or he who gets the all authority by God? Think carefully on this logic. We find Jesus in the above verse to have introduced Jehovah saying “My God.” However those that imagine that Jesus may be transformed as Jehovah after he ascended to heaven. They have to observe that Jesus is calling to Jehovah as “My God” even in the heaven as how he was calling Him “My God” in this world also. The proof of which can be seen the following verse. According to this Jesus is calling to Jehovah as “My God” even in heaven also who is beyond to him Jesus never has imagined about himself that he is God. If Jesus is God himself, is it possible to have a God above another God? If Jesus is God… To whom Jesus has ordered to pray to his dispels? Jesus always used to pray to Jehovah only. The witness of Paul- Jesus used to pray to Jehovah even in the difficulties. According to Jesus the worthy of worship is- only Jehovah. According to Paul the worthy of worship is Jehovah but not Jesus. If the above presumption is taken to be true for a while, then those that say- “Jesus is role model” for us”, should they pray to Jesus as how he once has prayed to Jehovah following his footsteps? Or should they pray to Jehovah? Those who proclaim that Jesus is role model for us, praying Jesus instead of Jehovah to whom Jesus has prayed, is not against to the Bible? As a matter of fact, the Apostle and Paul has believed Jesus to be one who beyond to the person of Jehovah. The strong proofs for this is that they have believed Jehovah as only one God. And they have prayed to Jehovah only following the model shown by Jesus even after he has ascended to heaven. The warning of Paul- one who follows another Gospel except the Gospel of Jesus, is to be accursed! In the above verse there are the two important points come into light and need be examined closely. 1). There are some who trouble you and want to pervert the gospel of Christ. 2). those who preach another gospel, except the Gospel of Jesus are to be accursed! According to the above two warnings made by Paul there are some preachers in the Christianity who preach their own Gospel other than the Gospel of Jesus! That is why Paul has declared in another place saying “Also from among yourselves men will rise up, speaking perverse things (Acts 20:30).” The second important point is that- Those who preach another gospel, except the gospel of Jesus are to be accursed. Therefore those who wish to attain the eternal life should examine themselves that whether they are following such preacher as who is preaching the gospel of Jesus intact or he is preaching another gospel setting aside the gospel of Jesus. 0 Response to "IS JESUS GOD? WHY DID NOT PAUL PREACH SO?"